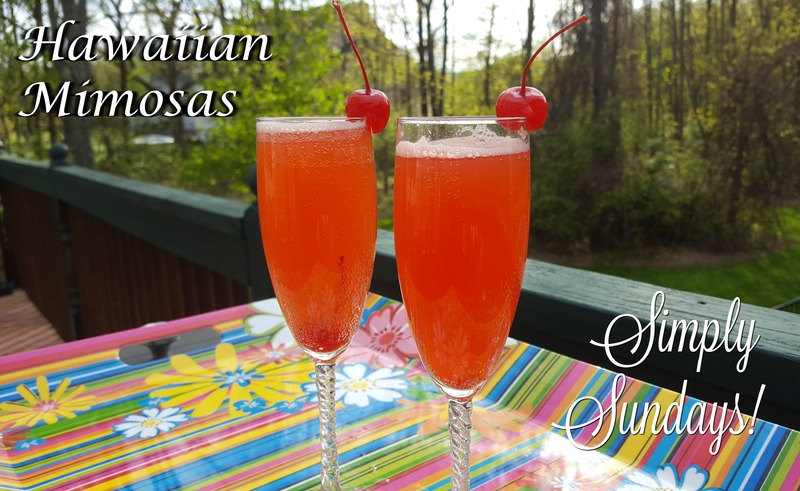 Hawaiian Mimosas – Simply Sundays! And we tried it. And we loved it. So here it is! Thanks Lynn for the inspiration! Pour the juice, rum and grenadine over ice in a pitcher and give a stir. Add in a bottle of bubbly, top champagne glasses with a maraschino cherry, pour and channel your inner island! Pour the juice, rum and grenadine over ice in a pitcher and give a stir. Add in a bottle of bubbly, top with a maraschino cherry and channel your inner island!